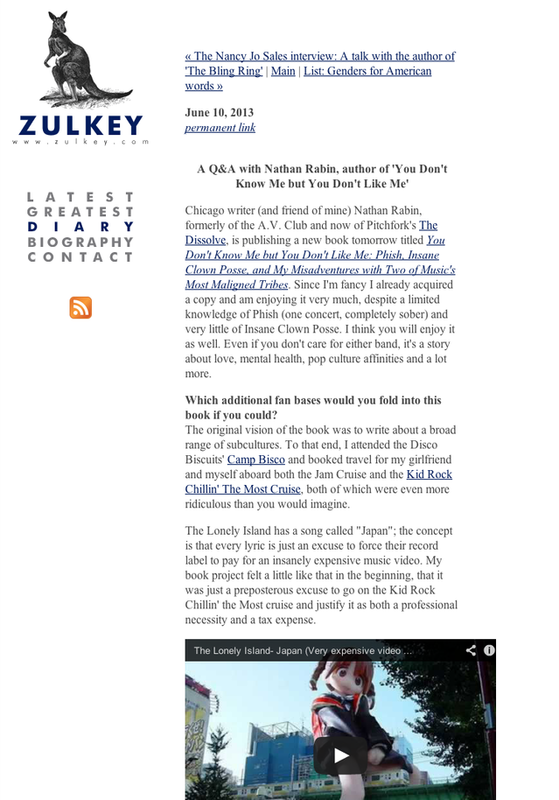 I’m very proud to announce that the brand-new Zulkey.com has launched today, with a brand new design by, well, me. Claire’s last design was elegant and simple and served her well since 2007, but time and the internet march on and now that she’s returned to her home base from her stint blogging at WBEZ, it was time to add just a few bobs and geegaws and hit some buzzwords like “responsive design”. We also tackled the daunting task of moving about 1200 static HTML pages from the 2002-2007 pre-CMS run of the blog into the new architecture. I’m sure as friends start to look over the site, they’ll find a few rough edges here and there, but we’ll sort that out quickly (and please feel free to let me know if you spot a problem on the site!) And, shameless plug, if you need some webwork done on your own webs, I might be the worker for you.